Saxophonist Roxy Coss is creating her own jazz legend with her swanky compositions. Check out her Jan. 2016 release Restless Idealism. Photo courtesy Roxy Coss. Roxy Coss is creating her own legend within the jazz community. The saxophone player is collecting accolades right and left including the 2016 Herb Alpert Young Jazz Composer Award and the Downbeats Critics Poll’s “Rising Star” distinction. She will be playing The Nash in downtown Phoenix Wednesday evening, Feb. 24. Hot on the tour for her latest album release Restless Idealism, Coss took some time out of her business schedule to chat with GetOut about growing up jazzy, the method to her music, and how Restless Idealism showcases her growing maturity as a millennial jazz composer. Based now in New York City, Coss is originally from Seattle, Wash. She started music young. “In Seattle, they have pretty good arts and music programs in the schools,” she said. In kindergarten she started on the piano. It was apparent to her teacher at the time that she had a gift for music. At the instructor’s prompting, Coss’ parents got her private lessons. In the fourth grade, Coss touched the instrument that would change her life as a musician. She was 9-years-old when she started the saxophone and by 15, she made the decision to pursue jazz professionally. There has been no looking back. In middle school she was under the instruction Robert Knatt, who she describes as being a legend in the Seattle music programs. “He got so many great jazz musicians started with jazz. (He’s) just a great educator,” she said fondly. In high school, she was able to tour internationally with her high school jazz band. Those experiences just fed her love of the genre and she dove further into the music of the jazz greats. “Some of my first inspirations were, of course, John Coltrane, Dexter Gordon, Stanley Turrentine — and then it evolved from there. Wayne Shorter became a big one — and then from there it sort of (grew) exponentially,” she said. You can hear those influences in her music, particularly in “Restless Idealism.” When Coss plays the sax it’s like a voice singing. There’s an approachability to her music that welcomes everyone. You don’t have to be a jazz aficionado to appreciate her music. Coss added that when she sits down to compose a song she wants to take her listeners on a journey. It should feel like an adventure. It should also be fun for her band members. The music she writes has room for improvisation and collaboration. While her first self-titled album was truly her introduction to the world, her second album “Restless Idealism,” which just came out in January, has a core focus. It hones in on taking listeners on that journey she spoke about. 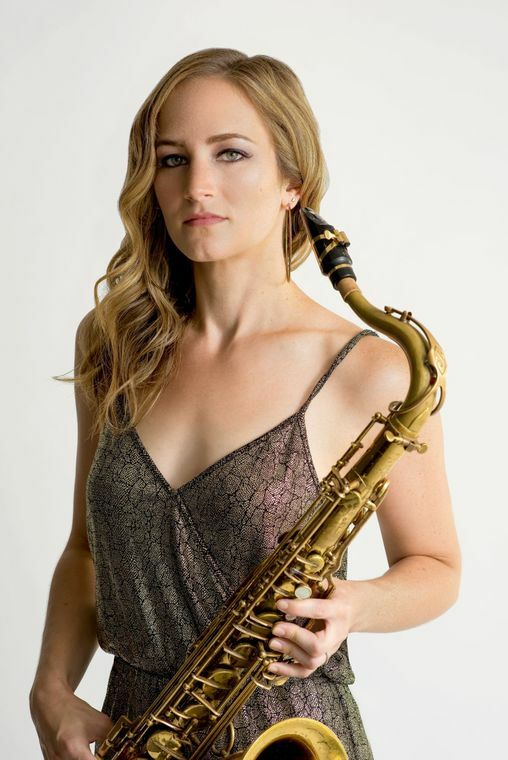 At The Nash, Coss will be playing with her husband and special guest, Lucas Pino — who is an Arizona native — in addition to local Arizona jazz artists. Coss said she loves to go to different cities and get a feel for their style of jazz. In addition to her Phoenix performance, ASU jazz students will get the chance to take her master class on Feb. 29. Don’t miss your chance to see Coss live. Tickets are $20, $10 for students with ID. Get more information at thenash.org. Originally published Feb. 23, 2016 on GetOutAZ.com.